You know that feeling when you just need to read a cheesy lovestory? Yes? I didn't - until I finished Orange and was left with a hollow feeling in my heart that I had to fill wirh a simple little story about life. 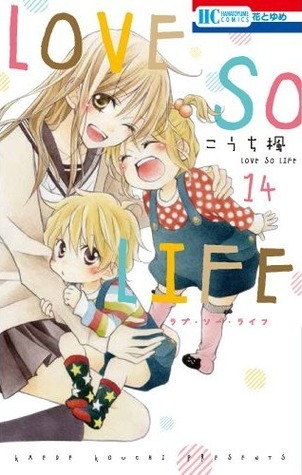 That's when I discovered "Love so Life" which is a Manga about a 16-year old orphan girl who dreams about working in daycare. On day she becomes the babysitter of two adorable twins who are left alone with their uncle. The twins are honestly the most adorable thing ever drawn in a Manga and the characters were just fascinating! I read the Manga thinking it would be a lovestory but it wasn't just that - it was a story about life and all the difficulties you have to struggle with, about how love isn't controllable and how important family is. So all in all it left me speechless again - and I can't wait for the last four chapters to finally be published in English!